I just cannot seem to leave the Russian River Valley with such delicious offerings of Pinot Noir (see Pinot #2.) 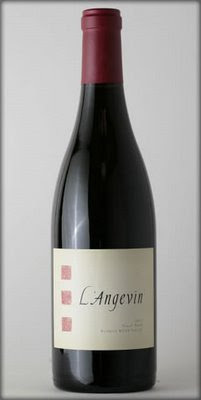 L'Angevin is the project of winemakers Alan Peirson and Robbie Meyer, whose acquaintance I made at the Acme Atelier Portfolio tasting in March of 2009. This Pinot Noir had just been released and I was very pleased to be able to taste it. This garnet-toned Pinot is filled with aromas of red fruit, especially red raspberry with slight notes of oak, earth and cocoa. On the palate this medium-bodied wine is soft yet juicy and fills the mouth with bright fruit, food-friendly acidity and a little sweetness. The wine is barrell-aged for 15 months (sur lees) and 40% new oak was used. 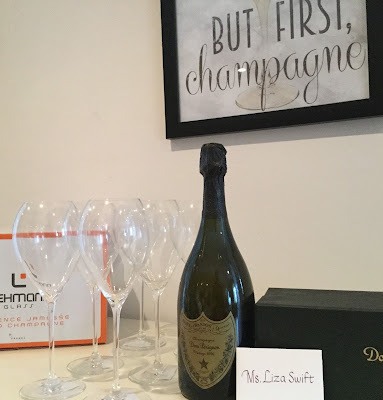 Pinot Noir can be a very serious wine, or a food wine, but the L'Angevin Pinot Noir is a juicy, fruity party wine that would appeal to a lot of different palates, especially those who maybe don't drink a lot of red wine. Retail for a 750mL bottle is $44. Visit www.langevinwines.com for more information.